 Délice Perlé is your celebration partner! Food is a central part in your festivities, and rather than betting on luck and given that every event is different, we are always ready to delight your guests. We freshly cook and serve right before your eyes from our food truck, so we can go anywhere. Contact us with your specific requests and we'll be happy to answer as soon as possible!